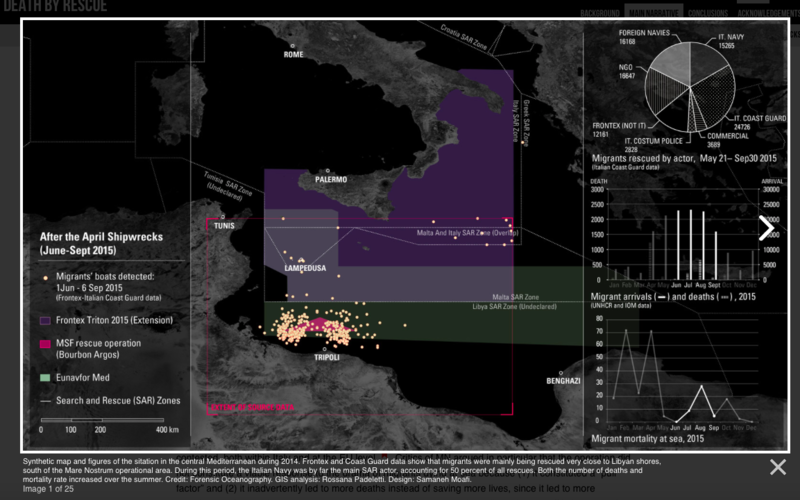 This entry was posted in biopolitics, Europe, forensic architecture, journals, Libya, refugees, security and tagged Forensic Architecture. military-humanitarianism, Grégoire Chamayou, Martina Tazzioli, Mediterranean Sea, migrants, Radical Philosophy, refugees by Derek Gregory. Bookmark the permalink.